We are delighted to be partnering with the Rotary Club of Harrogate for their 26th Nidderdale Walk on Sunday 19 May 2019. The event, organised by the Rotary Club of Harrogate, is returning to Pately Bridge, with the walks taking participants into upper Nidderdale. In 2019, there will be five walks of approximately four, eight, fifteen, twenty two and twenty six miles so there is a challenge for everyone including families. The eight mile walk heads south from Pateley Bridge to Coldstones Cut whilst the others head up Nidderdale towards Lofthouse, and beyond for the longer routes. 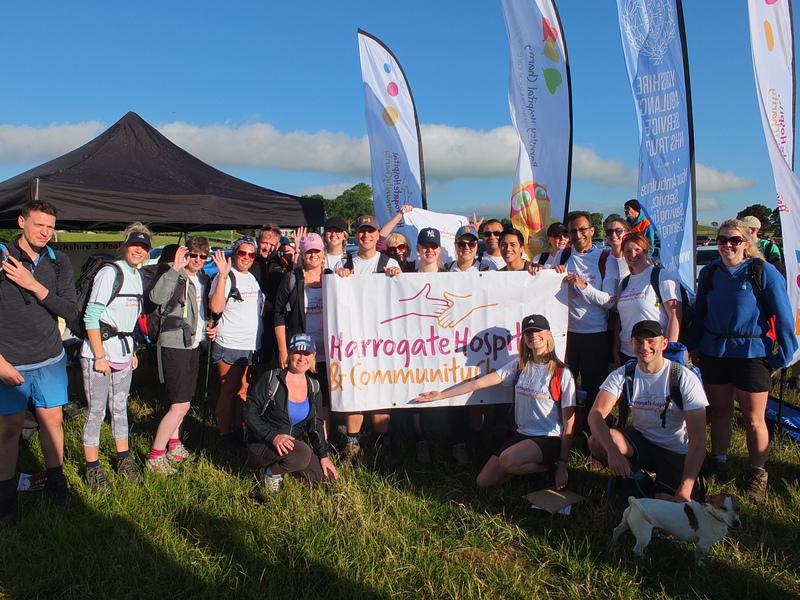 We are hoping to have a big team of walkers taking part in support of Harrogate Hospital and Community Charity and would be delighted if you would join our team and help us make a difference to the patients and their families at Harrogate and District NHS Foundation Trust. Once you have registered, please get in touch with us by emailing david.fisher@hdft.nhs.uk or calling the fundraising team on 01423 555641 and we will send you your fundraising pack. Full walk details including the routes and how to register can be found at www.nidderdalewalk.com. For those who prefer to run in the hills, there is also the Nidderdale Run on the same day. Places in the run are limited, so be sure to sign up quickly to avoid disappointment. Full run details can be found at www.runnidderdale.com. 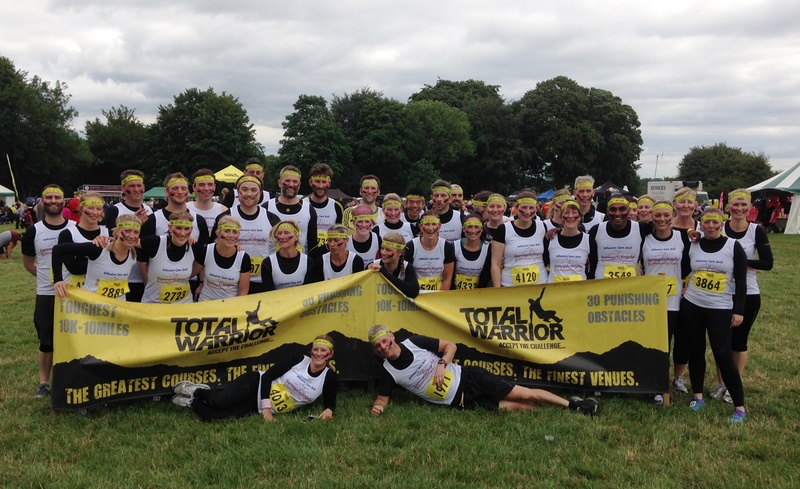 Harrogate Hospital and Community Charity are delighted to be able to offer places again at this year’s Total Warrior Event at Bramham Park, Leeds. Bramham Park offers the most magnificent of settings. A spectacular stately home surrounded by rolling hills and woodland. This is one hell of a course. Don’t let the serene stately home setting fool you into thinking any different. Come prepared for 30 punishing obstacles and earn your free victory beer. Over the past two years we have had nearly 70 participants taking part in this great event raising over £15,000. We have a limited number of places available so please sign up early to avoid missing out on the opportunity to get your entry for just £25. In addition to your registration fee of just £25, we are asking all of our participnats to pledge to raise a minimum of £100 sponsorship. Join us in 2019 and help us to do even more for our patients and their families. For more information about joining our team for this great event, please contact David Fisher by email david.fisher@hdft.nhs.uk or call 01423 555641. By joining our team, you will receive a t-shirt, fundraising pack, and all the support you need to help you raise as much as possible. After our first successful Yorkshire Three Peaks Challenge, we are delighted to announce that registration for our 2019 event is now open! Early Bird Offer – £25 registration fee if you sign up before 31 December 2018 – £30 from 1 January 2019. To take part in Harrogate Hospital and Community Charity’s Yorkshire Three Peaks Challenge there is a registration fee of £25 if booked in 2018 – this fee covers the costs of putting on the event and looking after your health and safety. In addition to this, we ask everyone to pledge to raise a minimum of £125 for the Yorkshire Three Peaks Challenge. The walk itself is fully marshalled with checkpoints along the route and your guides will brief you fully on the morning of the walk. You walk at whatever pace is best for you, and we expect most walkers to complete the walk in between 11 and 12 hours. You can sign up as an individual or as part of a team; why not try and encourage your colleagues or friends to join you so you can support each other on the challenge! Get your registration form by emailing david.fisher@hdft.nhs.uk or calling the fundraising team on 01423 555641.